Light and dark, tall and short, happy and sad — share a shot that captures a contrast. Bravo!. This is an enjoyable photo. There is not only a group contrast between the one bird and the many but it seems that there is also a faction amid the five birds in the background. Two for—three against the strange bird? Thanks for sharing. great capture! perfect for the challenge! Love the photo, perfect match for the theme! Thanks Ron. He really stood out among all the other white seagulls. Nice! I always enjoy photographs of Seagulls. Great pic. Love the capture – really nicely composed. Thank you! I took this photo a couple of weeks ago down in HoutBay, South Africa. 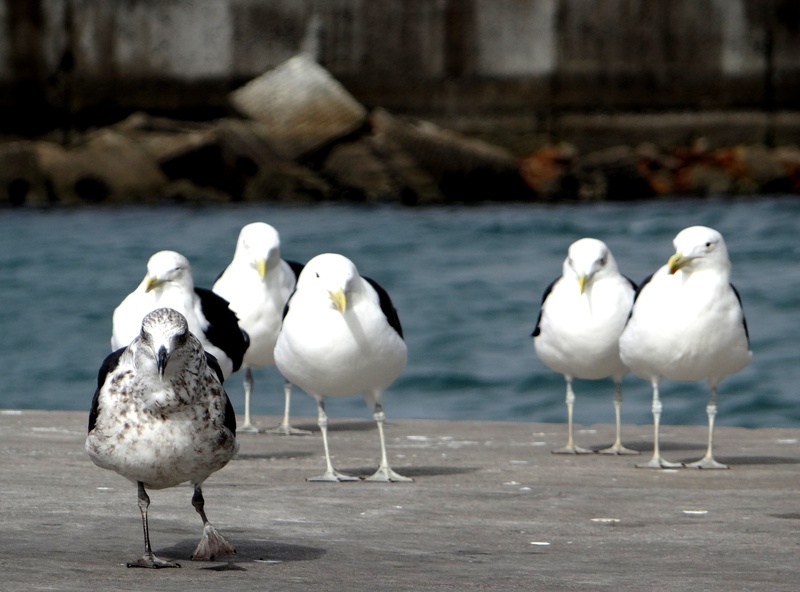 Definitely, he stood out between all the other white seagulls.